Youth in Arts annual winter holidays sing-along is back! 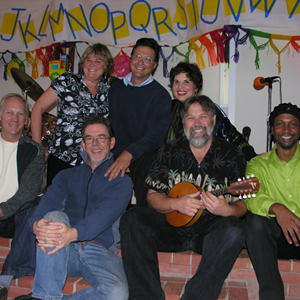 Join favorite Marin children’s recording artists Tim Cain, Miss Kitty, Cindy Cohen Levy, Christopher Smith, Peter Penhallow and the Dream Circle Band to share songs about Hannukah, Christmas, Kwanzaa and other joys of the season. Tuesday, December 10, 9:30 (SOLD OUT) and 11 a.m.
All seats are $8, with scholarship seats for $4 available with program administrator signature verifying the number of Federal reduced price lunch students (or need-based scholarship students at private schools).